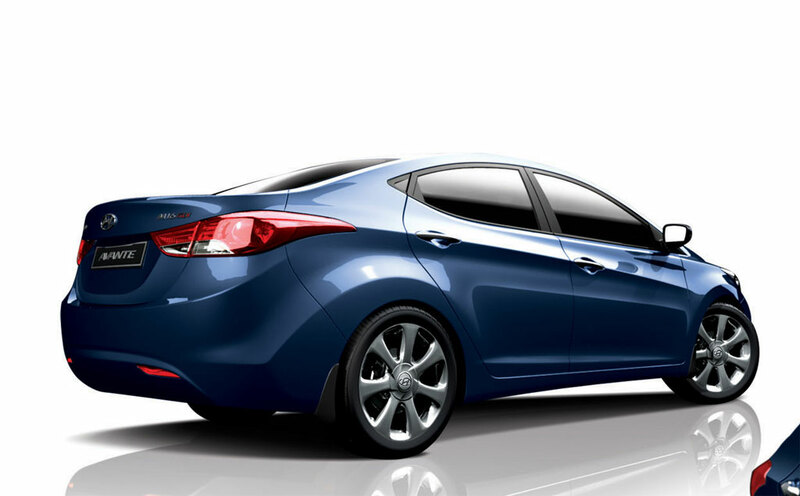 For the latest model year Hyundai has essentially started from scratch with its fifth-generation Hyundai Elantra. This new compact sedan features a new engine, transmissions, body and interior, and is set to be the most competitive and impressive model yet.The most apparent change at first glance is of course the dramatic restyling of the vehicle, which now wears familiar lines and style from the rest of Hyundai's freshest products. Inside, occupants will likely have a similar experience with more modern and higher quality materials and more appealing designs. Hyundai has also switched from three models to just two: GLS (base) and Limited (top-of-the-line). Both models feature the same new 1.8-liter four-cylinder that reports to duty with 148 horsepower and 131 lb-ft of torque. that means this latest Hyundai Elantra uses a smaller engine (1.8-liters vs 2.0-liters), has more power (old was 138 horsepower and 138 lb-ft), and still manages to increase fuel economy as well. The all-new Hyundai Elantra is rated at 29 city, 40 highway with either its six-speed manual or six-speed automatic transmissions. It is worth noting, however, the manual transmission is not available on the Limited trim level. Differences between the GLS and Limited start with the basics, such as standard 15-inch wheels on the GLS, and 17-inch wheels on the Limited. The Limited also comes standard with an automatic transmission. Other standard features on the Limited include solar control glass, a windshield shade band, fog lamps, air conditioning, one-touch driver's window up, telescoping steering wheel, leather seats, sliding center armrest, Bluetooth, cruise control, steering-wheel-mounted radio controls, dual illuminated vanity mirrors, heated front and rear seats, leather-wrapped steering wheel and shift knob and an illuminated ignition. Many of the features listed as standard on the Limited are available on the GLS, excluding notable such as leather seats and other surfaces. When it comes to safety, Hyundai doesn't hold back any content for the Limited, with both sharing the same features, including: vehicle stability management, electronic stability control and traction control system, anti-lock brakes, brake assist, tire pressure monitoring system, six standard airbags, daytime running lights, automatic headlights and an anti-theft system with panic button. For those looking to add a little extra, Hyundai Elantra has a few packages to choose from: GLS M/T Popular Equipment Package, GLS Preferred Equipment Package and GLS Navigation package round out the choices for the base model. The Popular Equipment Package adds air conditioning, cruise control, telescopic wheel, solar glass, windshield band and 16-inch steel wheels for $1,250. The Preferred Equipment Package adds 16-inch alloy wheels, steering wheel audio controls, Bluetooth, cloth inserts for the doors, a sliding center armrest, illuminated vanity mirrors and an illuminated ignition for $550. The Navigation Package, which requires the Preferred Package, add a 7-inch screen and navigation system, a rearview camera, a 360-watt stereo with external amplifier and automatic headlamps. Should you start with the already well-equipped Limited, the only available package is the Limited Premium Package, which adds everything found in the GLS Navigation Package, plus proximity key entry with electronic push-button start and an immobilizer for an additional $2,000.